How to build a farmhouse table. In this video, I show you how to build a farmhouse dining table. These are my methods for making a farmhouse table. Farmhouse furniture is very popular and can bring a beautiful touch to your home. A farmhouse style table can be a variety of styles. 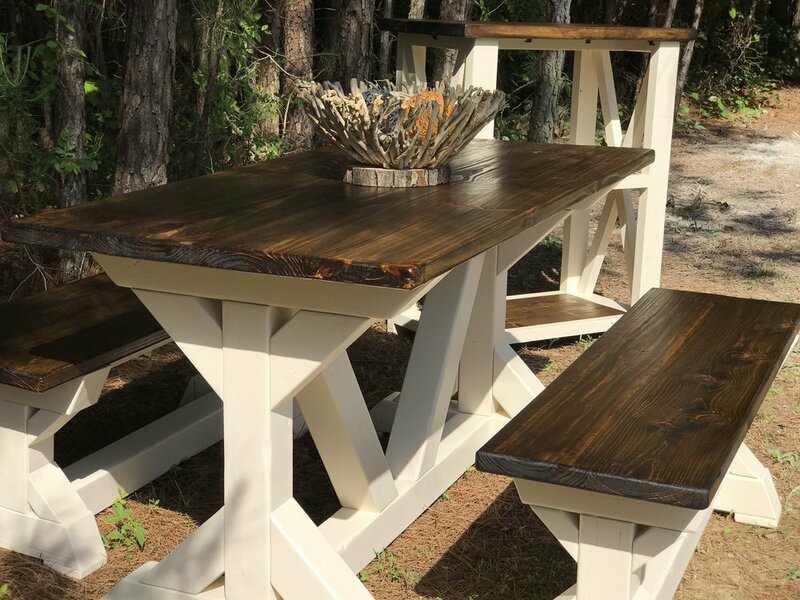 I think that the farmhouse paint scheme with the painted base and stained tops is one of the things that make it “farmhouse.” This DIY farmhouse table isn’t hard to make. Following these instructions you can make a farmhouse table. I used 4x4, 2x4 and 2x8 lumber to build this farmhouse dining set. This is a great rustic kitchen table. DIY kitchen table. In the next video, I will be building the matching farmhouse bench. Check the links below for products I use and recommend (affiliate links used in this article).